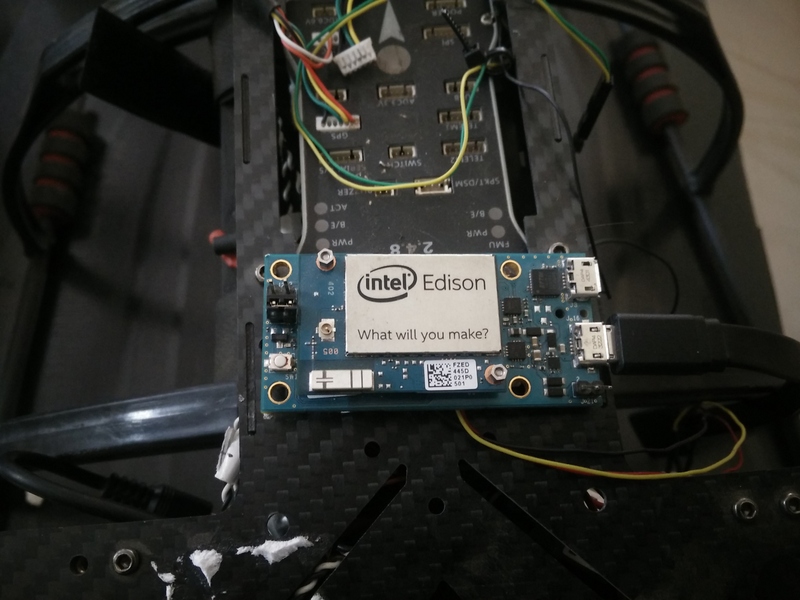 Whether you are developing a solution for drone delivery, deploying an autonomous drone charging or docking station, hovering a drone for inspection, or even trying to land a drone in the back of your pickup truck, making a drone land (or hover) precisely at a given location has always been a challenge. 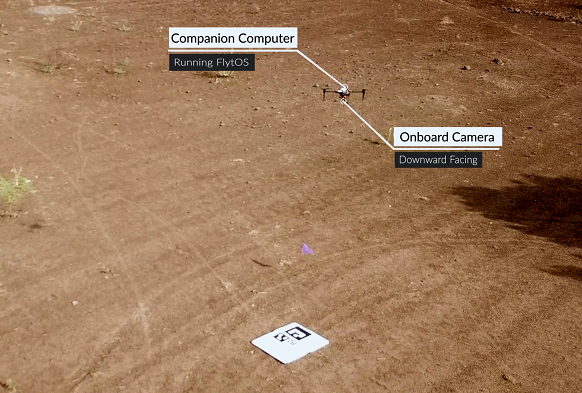 The issue arises when trying to attempt an autonomous multirotor landing, solely assisted by the GPS, as it always comes with an error radius of a few meters, often called the ‘last 10 ft problem’, where traditional GPS is not accurate enough to navigate the drone precisely to the landing location. This is a major issue, as while working with relatively small objects, like drones, which are often less than a meter in size, the error margin offered by a GPS-based landing solution is unacceptable. Even with RTK GPS, it is extremely hard to precisely align and land on target. Further issues arise when the landing pad/docking station is in motion, or there are multiple landing sites, as the higher precision required to land the UAV in such cases, simply cannot be delivered by a GPS guided system. GPS alone is not accurate, IR-beacons get affected by ambient conditions and need power on the landing site, RTK-GPS is complex to setup, requires additional infrastructure and still does not provide the desired performance. There is a need for a reliable system that can help precisely align and land the drone on the designated site, with centimeter-level accuracy. It should work across conditions; whether it is day or night, outdoor or indoor (GPS-denied) environment, on ground-level or on an elevated platform, or even on a moving or floating (in water) platform. The system should feature auto-recovery/fail-safe function in scenarios like heavy winds or missing tag, and be smart enough to reattempt landing, in case it is required. FlytDock is the world’s smartest vision based automated precision target landing solution compatible with a wide range of drones/hardware. It offers the ability to autonomously land or hover a drone over a visual target for delivery, docking station, warehouse or asset inspection, even in GPS-denied environments. 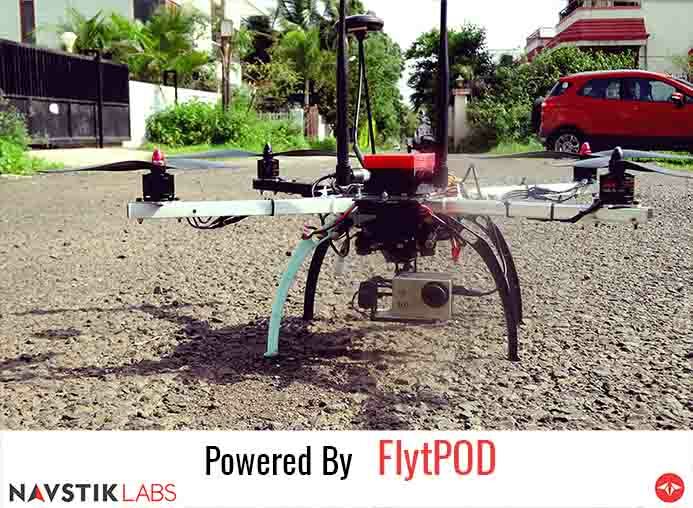 Powered by FlytOS, this intelligent plugin utilizes computer vision techniques and dedicated landing algorithms to precisely align, approach and land the multirotor on the ArUco Tag on the ground. FlytDock consists of an onboard module which uses a downward looking monocular camera to detect fiducial markers. These markers (ArUco Tags) can be printed and used as landing sites. There is no infrastructure/electronics required on the landing site, making it easy to deploy at scale. The pose is estimated using the tag size and calibrated camera information. No other equipment, such as lidar or rangefinder, is required, as the altitude and location of the landing site are found just using the pose estimation of these markers. 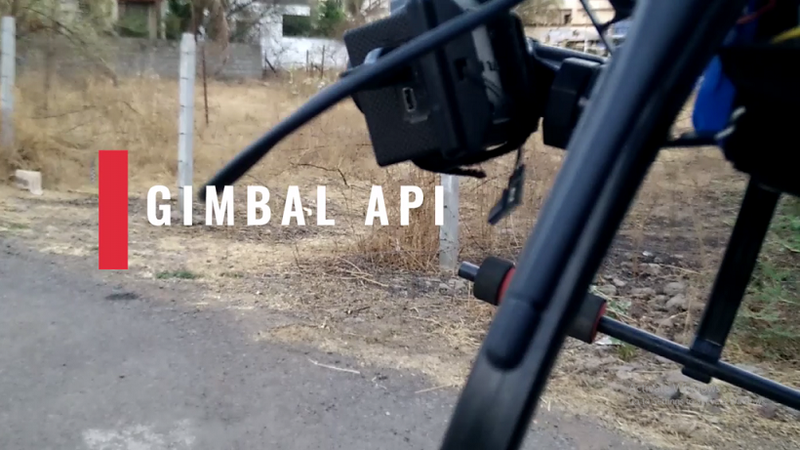 The onboard controller maneuvers the drone, precisely to the desired landing site using FlytAPIs. A family of ArUco markers allows the use of different tags for multiple landing sites. Different markers can be used and modified in size to fit the landing pad. The height for triggering precision-landing procedure can also be modified in software, to sync with the size of the marker. A web-app is provided for configuring and monitoring FlytDock. All the parameters can be easily configured using the GUI utility. The app works over local network as well as over cloud. 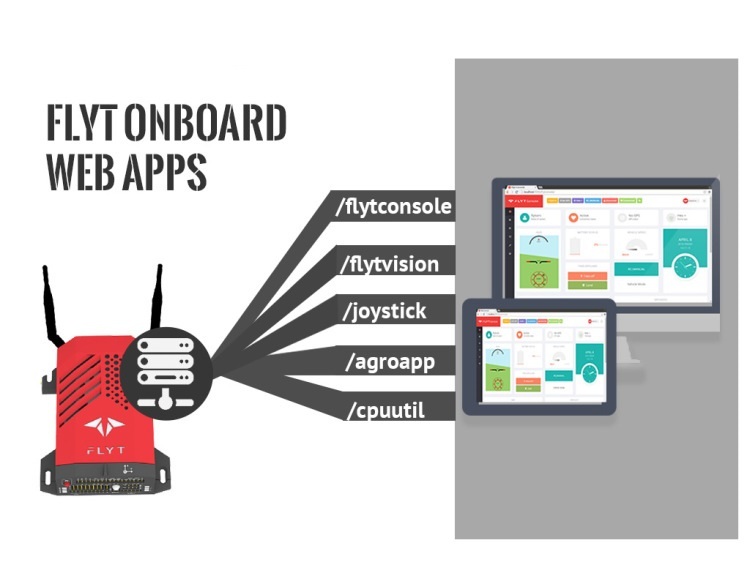 FlytDock can also be remotely managed and controlled over 4G/LTE through FlytCloud Edge Management. FlytDock can accommodate various scenarios, like landing on the ground, moving platforms, elevated platforms, and night operations (ARtag illumination required in dark environments). 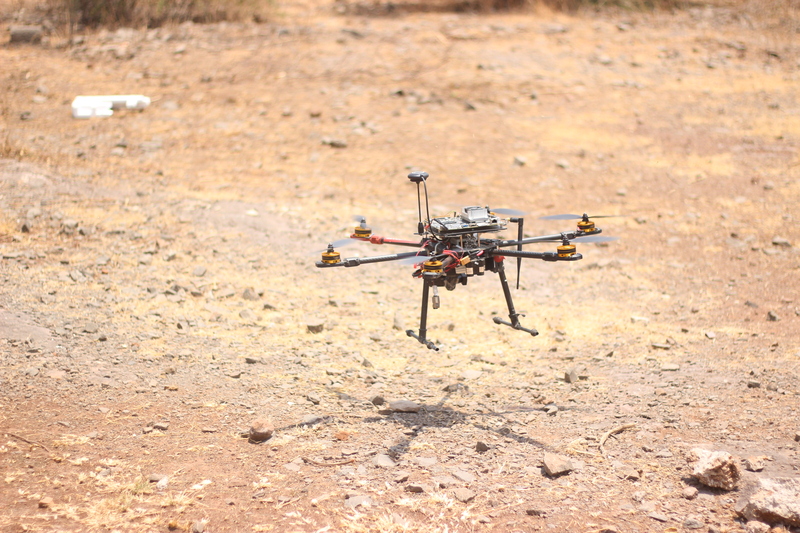 It also offers a hover mode, to precisely hold the drone at the desired distance, from the target. The solution has been designed with fail-safe features; the algorithm can handle emergency situations like heavy winds, reattempt landings in case of lost/missing tags or trigger return and land to a safe location (pre-defined by the user). Precision landing is a critical requirement for a large number of commercial drone applications. It is one of the key components for automating and deploying drones at scale. Precision landing adds significant value when it comes to automating drone fleet for a day and night Security & Surveillance patrols. 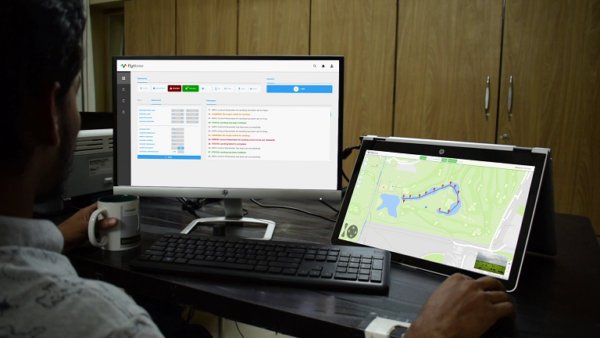 Schedule routine missions with drones using Flytcloud, and autonomously land them on the charging pad to prepare for the next mission using FlytDock. A drone delivery network has landing sites spread across a large geographic area. Precision landing is required on the drone to precisely hover or land for package delivery. Tags could be deployed on delivery locations and drone action could be triggered based on the location, remotely. There is no electronics or power required at the landing sites. Drone docking and charging stations are an integral part of autonomous drone operations. 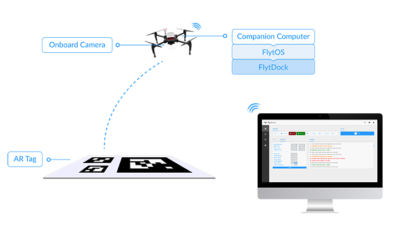 Integrate FlytDock to accurately land the drone on the docking station, charging pad, or any elevated/moving/floating platform. The drone will identify the tag and precisely land on the target. Autonomously navigate through warehouse aisles to scan and monitor packages in a GPS-denied environment. The drone can localize itself using tags placed along the aisles, and navigate to any aisle and shelf, as required for the mission. Precisely align the drone to the structures that need regular inspection and monitoring, without manual intervention. The drones will be able to hover over a tag, at a specific distance for inspection. The pose for distance measurement is estimated using the tag size and calibrated camera information. 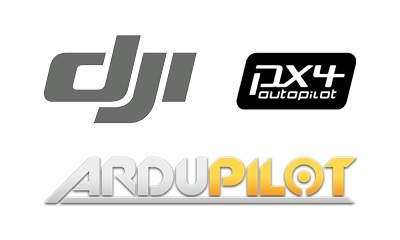 FlytDock is readily compatible with a wide range of drones such as DJI (Matrice 100, Matrice 600, Matrice 210, A3, N3), PX4 and Ardupilot (Pixhawk/Cube autopilot) based drones. Talk to us to get the precision landing solution for your drones. 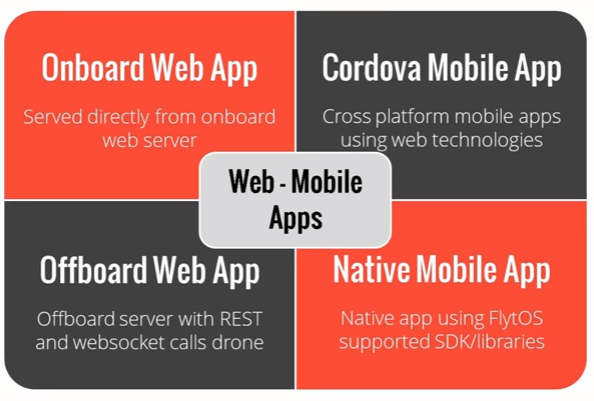 Deliverables include FlytDock plugin, web app, APIs, required hardware (plug & play kits available), FlytOS licenses, FlytCloud subscription and support for complete integration. 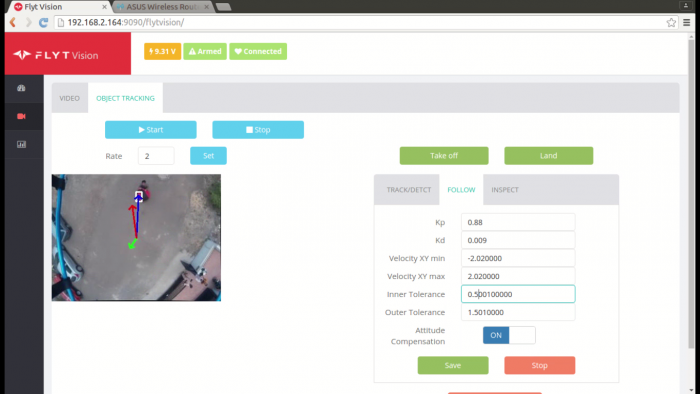 Integrate FlytDock with your drones, today! Visit flytbase.com/flytdock and contact us to schedule a call with our experts.